Click here for the list for the 1st Reveal Partner List. This afternoon I will send out individual emails to the Second Reveal group. But in case you can't wait, the list for the 2nd Reveal is at the bottom of this page. As will be mentioned in the email, this blog page will be my only way of communicating with you. So here is the email you will be getting -- you will get your partner's email address from me. Hello! You are in the 2nd Reveal, which is Saturday, April 6th. Before I tell you who your partner is, PLEASE make sure you have gone to www.BeadSoupBlogParty.com, and on the right sidebar, enter your email to follow the blog. Why? I have over 500 people to communicate with throughout the party, and many email providers tag mass emails as spam. I've also tried using MailChimp and the like, but learned that some email providers can tell when mail is coming from a program and still kicks it into spam. So please, before you even finish reading this, go and sign up -- you will need to check your email after you subscribe as you'll need to verify your subscription (this is why I can't just add you myself -- that would be too easy!). This is the most important email you'll get, so please keep it and refer to it when necessary. Lots of information here that you need! :: Make contact with your partner immediately! My hope is you will stay in touch throughout the Party and after. First email, send your mailing address. Visit each other's blogs. Get to know each other a bit. :: Do not ask your partner what they want to get! That defeats the entire purpose of this event. because-it's-a-challenge beads. 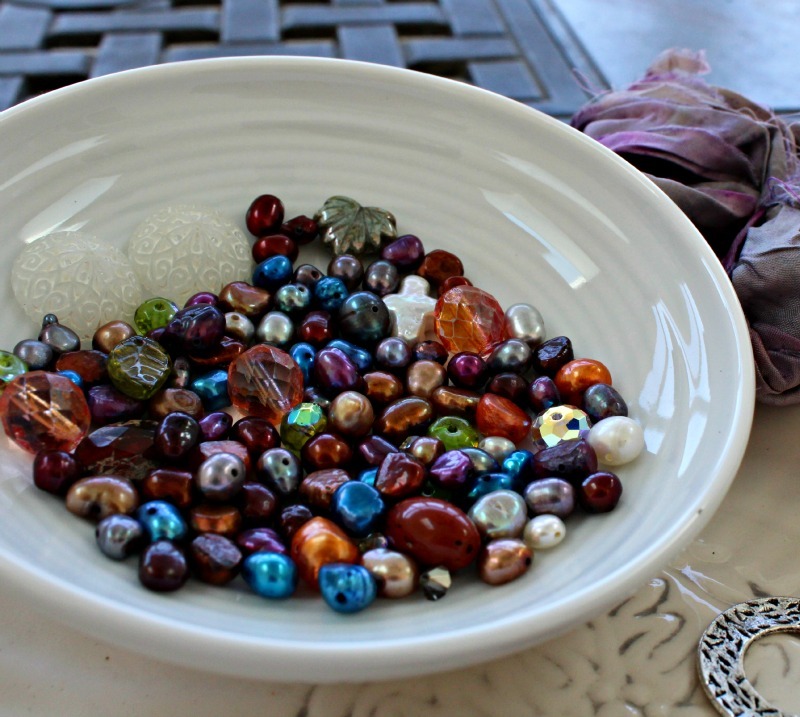 Make a package of beads that is something YOU would love to receive. I'm doing my best to pair people who are in different styles -- that's why I visit every single blog -- but sometimes you WILL end up with someone just like you. Before you ship, it's always a good idea to photograph what you sent. One, so you can share it on your blog and Facebook AFTER your partner gets it, but also in case the package goes lost. And, if you're like me and forgot what you sent, and your partner asks, "What is this made of?" you can refer back and know. When you get your beads, please post a photo of them on your blog. If you want to keep the entire thing secret until your reveal date, that's fine, but make a quick post to let people know you got them. 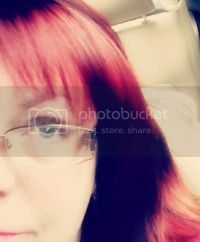 You can even use a photo editing program to pixelate or distort your photo as a teaser. I will be adding everyone to the 7th BSBP Pinterest Board later this week. :: The deadline to ship is February 10th, but please send as soon as possible. Why? You get more time to work on your project. If you are shipping in the US, I highly recommend you spring for delivery confirmation -- it doesn't cost much at all, especially if you print via PayPal. Please email your partner the date you mailed your beads. :: When you get your beads, please start planning your project. Last event, I had way too many people signed up for the 1st and 2nd reveals asking to be put in the 3rd reveal because they had put off making something. Write your reveal date down and please, please keep to it. You only have to make one piece but are welcome to make more. You MUST use the focal and clasp (but if you're making more than one piece, the clasp can be in one and the focal in another). Please stick to this rule, as it's one of the main purposes of this event. OK! That should be plenty to get you going. I'll periodically post more info here, and you can always email me or Facebook message me. And if you aren't a member of the Bead Soup Cafe, my group on Facebook, you can join at www.BeadSoupCafe.com and have a blast! Now, the list of partners for the Second Reveal (the Third reveal will be announced very soon) -- if I made a mistake, doubled up someone, gave you a date you didn't ask for, you've had your partner before -- please email me asap and let your partner know as well.